Order in the next 3 hours, 16 minutes an 10 seconds for same day shipping. Circular micro stamp - a convenient pocket-sized self-inking stamp. Carry the 4612 with you for quickly marking off important documents in the office, factory or even for teachers to create quick impressions to award pupils. To further extend the life of your stamp, order the suitable replacement ink pad 6/4612, which is available in 5 different colours: black, blue, red, green and violet. Dry felt pads are suitable for special inks. 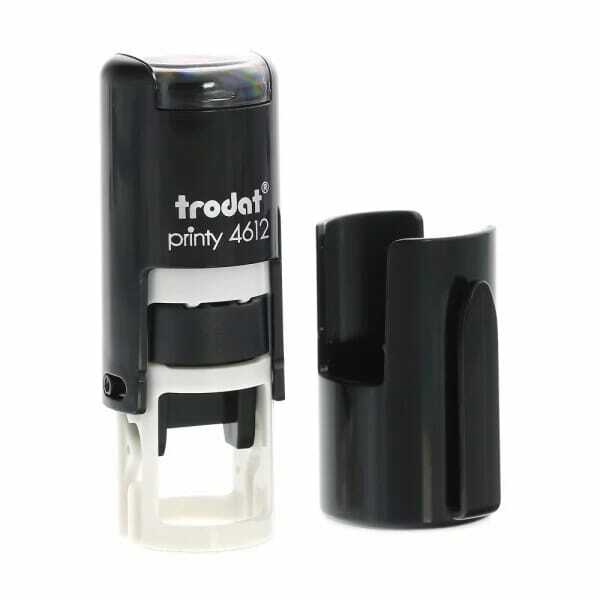 Customer evaluation for "Trodat Printy 4612 12 mm diam. - 2 lines"